How do I sign up to work as a Caregiver? You do not need to do anything. You will receive a pop-up push notification when a shift is available in your area. You do not need to check into the app or keep the app open in order to receive these alerts. There are often no care requests on teh map since they get picked up so quickly by fellow caregivers. When care requests are made, they are sent to all nearby caregivers who quickly apply and get selected to work the shift. Since this process happens quickly, the care requests are then quickly removed from the map. RestUp uses Stripe for processing payments made by the families and businesses using the app, as well as to provide you direct deposit of your money. You can enter your bank information in the app for direct deposit of your money. 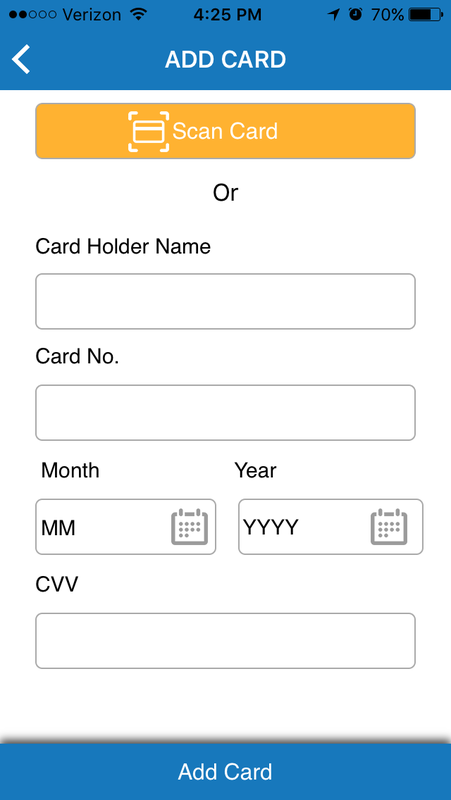 Go to the left side menu, then towards the bottom find "Edit Bank Account Info" and add your information. Otherwise, you may choose to get a debit card via Paychex payroll, however that will involve a 20% surcharge for such service. Am I an employee of RestUp? No. You are an independent contractor. Therefore, think of yourself as a small business. Take pride in your profile, video introduction, and any other opportunities to set yourself apart from your competition. Additionally, be sure to keep track of your driving miles, as this may be tax deductible each year. And lastly, since you are an independent contractor and therefore are your own business, RestUp is not withholding taxes nor providing any other benefits that come along with being an employee. You will want to be sure to set aside money for taxes each year. The minimum amount you should be setting aside is 15.3% for FICA taxes. You should also consider purchasing liability insurance. Why are you asking for my ID and Social Security number? RestUp uses Checkr background checks in order to conduct background checks, and we utilize a payroll processing service to file 1099s to ensure compliance with tax code. Each of these trusted companies requires this information. Why are you asking access to my Facebook and LinkedIn page? First, RestUp does not post anything to your Facebook or LinkedIn page, nor do we collect or share any data from those page. We are merely using Facebook and LinkedIn as another verification of your identity as well as providing another layer of trust for the Careseekers. You ask me for really sensitive data, such as my social and bank information. I’m not comfortable with putting that information online. How can you help me feel more comfortable? We understand your concerns in putting personal information on an app. However, to be considered for our platform, you must electronically provide all information and documentation for the background check before being approved for use. If you have any concerns about RestUp, please check out the security information at Amazon AWS, Onfido, and Stripe to assure you of the security measures we take. What are the rules for the RestUp Referral Program? To be eligible to participate in the Referral Program as a “Referrer” you must (i) be at least 18 years of age; (ii) maintain a RestUp Account in good standing; and (iii) fulfill any additional requirements within the RestUp Terms to maintain your Account. In order for you to receive a Referral Reward, the Careseeker you are referring must: (i) access the sign-up and/or Account creation flow (ii) create an RestUp Account and satisfy the criteria for establishing an Account on the RestUp Platform (including but not limited to, uploading all documentation necessary to hire and pay a Caregiver via the RestUp platform); (iii) have never previously created an RestUp Account; (iv) not have already been a Careseeker used by another Caregiver to qualify for a Referral Reward; and (vi) hire and pay a Caregiver via the RestUp platform for at least two (2) hours of caregiving services. RestUp, in its sole discretion, may make available individual programs with different or additional eligibility requirements (“Campaigns”). Eligibility for any particular Campaign is subject to any such differing or additional requirements communicated within that Campaign or via the RestUp Platform. In the event of a conflict between the Referral Program and an individual Campaign, the terms of the Campaign itself will govern in that instance. Individual Campaigns may be offered to any Users or groups of Users. These Campaigns, unless offered to you, shall have no bearing whatsoever on your agreement or relationship with RestUp or this Referral Program as it pertains to you. If you or the Referred User violate the Referral Program Rules or any applicable RestUp Terms, RestUp may suspend or terminate your and/or the Referred User’s ability to participate in the Referral Program or take any other remedial measure as RestUp determines in its sole discretion, including, without limitation, suspending or terminating your and/or the Referred User’s RestUp Account. Subject to the terms set forth in this Referral Program Rules, you may be eligible to earn a Referral Reward for each Referred User. As discussed above, in order to qualify as your Referred User, the Invitee must satisfy the applicable Reward Criteria. The Reward Criteria are set by RestUp in its sole discretion and are subject to change at any time. The Reward Criteria may vary by market or within a particular market. If your Invitee satisfies the requirements to be considered a Referred User, the type and/or amount of the Referral Reward you are eligible to receive may depend on a number of factors including: (i) any specific terms of the individual Campaign; (ii) the location associated with your Account or the Referred User; (iii) other factors as determined and/or communicated by RestUp. 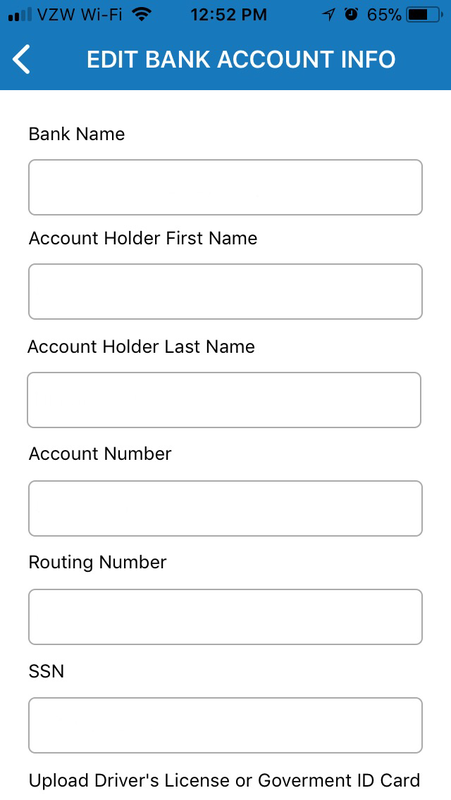 A Referred User may receive a Referral Reward upon creating their new RestUp Account. Referral Rewards may vary by type of User, location, market, and other factors, and may contain certain restrictions, such as expiration dates, age restrictions, or geographical use limitations. In order to satisfy the Referral Criteria, the Referred User must make their first RestUp purchase before the Referral Reward expires, but in no event later than six months from the creation of their RestUp Account. RestUp may amend or replace all terms and conditions applicable to the distribution and use of Referral Rewards at any time, without prior notice, and in its sole discretion. We appreciate your efforts in getting the word out about RestUp’s services. To prevent fraud and optimize our management of the Referral Program, RestUp may limit your collection of Referral Rewards to a value determined by RestUp. Limits may vary by Campaign and RestUp reserves the right to withhold or deny any excess Referral Rewards. Per the Terms of Service, you cannot create multiple Accounts. Duplicate Accounts will not receive Referral Rewards. If you create multiple Accounts to circumvent the Referral Reward maximum or any other terms of the Referral Program, RestUp reserves the right to cancel or delete your Referral Rewards in addition to suspension or termination of your Accounts. RestUp reserves the right to withhold or deduct Referral Rewards obtained through the Referral Program in the event that RestUp, in its sole discretion, determines or believes that the receipt of the Referral Reward was in error, fraudulent, illegal, or in violation of these Referral Program, the RestUp Terms or any other applicable agreement between you and RestUp. Mass distributing or “spamming” anyone with invitations to use RestUp with your name and RestUp’s information. Posting RestUp referral information on event or venue pages without express permission from the owner of such event or venue. Using RestUp’s intellectual property, such as the logo, name, or any other promotional material, except to identify yourself as an RestUp User, Invitee, Referred User or Referrer. Attempting to defraud or abuse RestUp, the terms of the Referral Program, the RestUp Terms or any Invitees or Referred Users. You cannot earn Referral Rewards for referring yourself. Referral Rewards are not valid for cash and may expire prior to your use. Please read all the terms and conditions of your Referral Reward to understand how you can successfully redeem your Referral Reward. RestUp may disable your Referral Reward at any time for any reason without any liability to RestUp, even if you have not explicitly violated any terms of the Referral Program. In the event there is a conflict between the RestUp Terms and the Referral Program, the RestUp Terms shall control. Furthermore, in the event there is a dispute between you and RestUp, the Terms of Service shall resolve any disputes between you and RestUp related to or arising out of the Referral Program. RestUp reserves the right to update the Referral Program terms at any time. Please check back periodically to ensure you are up-to-date with the Referral Program terms and conditions. If we make a material update to the Referral Program, we will post the update on the RestUp Platform and provide you notice of the update. Continued participation in any referral program after any update will mean that you have agreed to the update. If any provision in these Referral Program terms are held to be invalid, void, or unenforceable, such provision (or the part of it that is making it invalid, void or unenforceable) will be struck and not affect the validity of and enforceability of the remaining provisions. Why are you asking for a link to YouTube™ or other video hosting website? RestUp encourages its Caregivers to record a short introductory video using your smart phone. You will simply upload the video to YouTube™ and then provide the link for your profile. If I’m still having issues, who can I contact? Please send an email to info@restup.today for further assistance. I forgot my password? How do I reset it? RestUp is requesting information regarding liability insurance. What is this? Since you are an independent contractor, you should carry insurance for yourself in case you are sued by a Careseeker. The link provided takes you to an insurance company that provides affordable insurance for yourself. Individual liability insurance is recommended for every Caregiver. How do I sign up? How do I hire a Caregiver? It is easy to hire a Caregiver. All you need to do is sign-up via the RestUp app. Then, create a profile for your loved one that needs care. Lastly, you'll create your first care request, entering the date you want services to start and instructions for the Caregiver. You will probably have several Caregivers who will respond, and you then choose which Caregiver to hire by clicking on the "Hire" button. If you need help for more than one day, you can simply create a care request for the first day want services to start, and then after choosing a Caregiver, they can clock-in and out within that same care request over and over again. You can use the app to chat with them to discuss additional shifts. How do I send a care request to a RestUp caregiver? Create a profile for your family or friend who needs care. Create the care request for the day you need help or (for multiple days) the first day you want services to start. How much does it cost to use RestUp? RestUp provides a free platform for families and businesses to easily find caregivers who are available now to assist them. Each Caregiver sets his or her own hourly rate. It is free for Careseekers to download and select a Caregiver. You only pay when you use the service. When you hire a Caregiver through RestUp, you are charged the Caregiver’s hourly rate upon conclusion of the service. The Caregiver pays a Service or Referral Fee. This fee gives us the ability to cover insurance, background checks, and payroll processing. Do I have to deal with withholding taxes if I hire a RestUp caregiver? Possibly. You should discuss this issue with a CPA or other tax professional. However, RestUp treats each caregiver as an independent contractor, and its third-party payroll processing company will be making a report to the IRS as well. Therefore, be sure when you talk to your CPA or other tax professional that they understand that RestUp sends a 1099 to each caregiver for their total fees earned caring for seniors on RestUp. Who sets the hourly rates for the caregivers? Caregivers set their own hourly rate. They determine their hourly rate based on their experience, certifications, and education. Once you have hired a caregiver, they will head to your location. 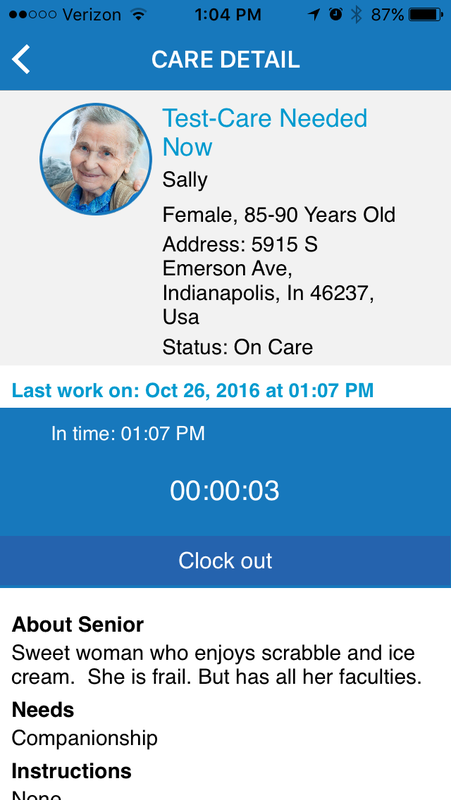 A time-clock is built into the app that may only be initiated when the caregiver is within 50 meters of your home. Upon leaving your home, the Caregiver will receive a reminder to clock out, should they forget to clock out on their own. If there is any dispute, at the discretion of RestUp, we will certainly refund any unearned fee. Why should I use RestUp? RestUp helps you easily find caregivers that match your specific needs and budget. RestUp provides convenient, on-demand caregivers that also save families money. We attract highest quality caregivers by ensuring most of the earnings go to the caregiver. Are the caregivers on RestUp insured? Each caregiver is encouraged to maintain individual liability insurance as a home health aide at a minimum of $100,000 per incident. Additional, RestUp maintains professional liability insurance of $2,000,000 aggregate and $1,000,000 per occurrence. 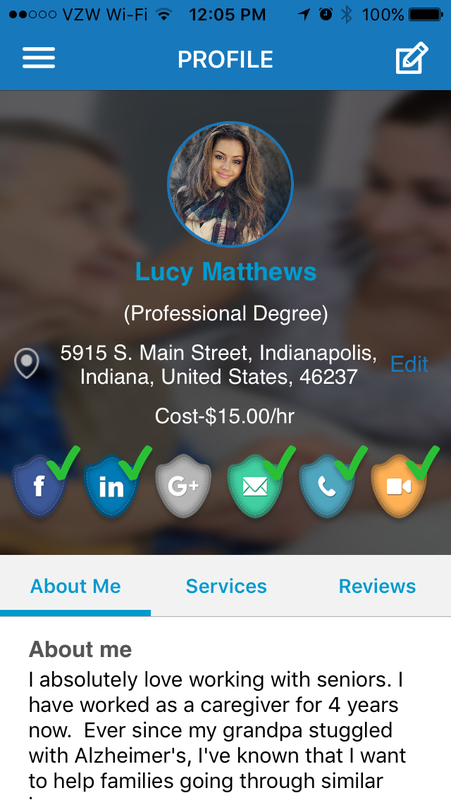 RestUp is an easy-to-use, convenient, and efficient website and application that connects professional caregivers to families needing care and businesses needing caregivers. Have your caregivers received background checks? Each working caregiver is screened through the service, Checkr, an online background check service. How should I use RestUp? Most people use RestUp for emergency, respite, or supplemental care. If you are a family caregiver, RestUp can provide you access to affordable caregivers on-demand. Our caregivers can help watch a loved one while you shop or just take a break. If you are a hospital, facility, or agency, you can use RestUp caregivers to supplement your services or fill in for your caregivers in a crisis. You can also use our caregivers as a one-on-one sitting service for patients who need personal attention due to unsocial or unruly behavior or a tendancy to wander. Will I ever have to pay the caregiver directly? No, RestUp will take care of all payments. The Caregiver will clock-in and clock-out during the care visit. This time-clock will automatically charge the Caregiver's hourly rate to your credit card. Be sure to enter your credit card information so that your payment will be processed in a timely fashion. Payments are made through the RestUp app using the payment service Stripe. After the caregiver clocks out, the payment is charged to your credit or debit card, and you are sent an electronic invoice.